Arab parties fume at Liberman's Facebook post placing Arab MKs in new Palestinian Authority state. Israel Defense Minister Avigdor Liberman (Yisrael Beytenu) angered Joint Arab LIst MKs with his Monday morning Facebook post saying a two-state solution should place Arab MKs in a "Palestinian" state. In his post, Liberman wrote, "We cannot have a 100% homogeneous Palestinian state, in which there are no Jews at all, if in Israel there are two nations and 22% of the population is Palestinian. "The only way to solve the problem for good is to swap land and populations as part of a larger agreement. There is no reason why Joint Arab List MKs should continue to be Israeli citizens." 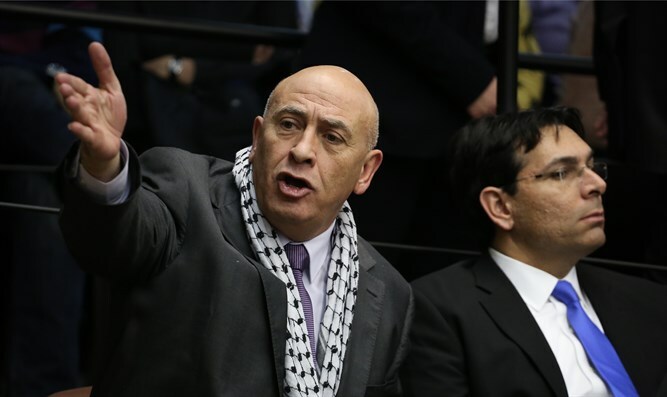 In response, MK Basel Ghattas (Joint Arab List) said, "There is no doubt Liberman is an immigrant from Moldova, and that he has no idea what a homeland is, or what it means to have a nation of natives." "In any future agreement, there will be no place for land-stealing settlers in a Palestinian state, and there will be no place for racist immigrants. The Palestinians who are now living in Israel are the owners of the land, and Liberman is a temporary guest." Liberian has been suggesting a land-population swapping plan since his first Knesset term as a way to achieve peace by switching the "triangle" of Arab towns near Megiddo for Jewish communities in Judea and Samaria.